TULSA, Okla. – Tulsa Ballet’s second company Tulsa Ballet II is compromised of some the most promising young dancers from around the world. They will have an opportunity to shine in On Your Radar August 24-26, 2018. The program will feature the exciting World Premiere of Peter and the Wolf by Tulsa Ballet Resident Choreographer Ma Cong as well as the return of Jennifer Archibald’s powerful contemporary work, OMENS. On Your Radar will take place Friday, August 24th at 7:30pm and Sunday, August 26th at 2:30pm in Tulsa Ballet’s Studio K Theater with an additional performance Saturday, August 25th at the Zarrow Performance Studio located in the Hardesty Center for Dance Education in Broken Arrow. Tulsa Ballet is thankful for the generosity of the Hardesty Family Foundation, the leading sponsor for Peter and the Wolf, as well as The Stinson Family for supporting this new program. Jennifer Archibald is the Founder and Artistic Director of the Arch Dance Company and Program Director of ArchCore40 dance intensives, and is at the forefront of today’s dance generation of choreographers and dance educators. Having graduated from the Alvin Ailey School and the Maggie Flanigan Acting Conservatory where she specialized in the Meisner technique, she draws on a variety of techniques, experience and styles. She has presented Arch Dance Company nationally, having been awarded two National Performance Network grants; and has performed by special invitation at notable dance festivals country wide. Ms. Archibald has staged off-Broadway shows and has choreographed professional theater company musicals. She has worked with chart-listed musicians and actors as a movement specialist and choreographer. She is currently on faculty at STEPS on Broadway, Broadway Dance Centre, Ailey Extension, Gibney Dance and CAP 21 America’s Musical Theatre Conservatory in New York City. She has been on faculty at the Bates Dance Festival, Broadway Theater Project and Florida Dance Festival, Complexions, Dallas Black Dance Theatre and Howard University Intensives. Ma Cong has been widely recognized by the dance world as a passionate, bright, and inspired rising star choreographer. Critics have described his choreography as powerful and passionate. Ma is the Resident Choreographer of Tulsa Ballet, and continues to create and stage his existing works for companies internationally. Having started his dance career at the Beijing Dance Academy, where he trained in the art of Chinese Classical dance, Ma soon discovered his love for ballet and went on to graduate with honors. Ma danced with The National Ballet of China from 1995 until 1999, prior to joining Tulsa Ballet. During his 12-year tenure at Tulsa Ballet, he quickly rose to the rank of Principal Dancer. Ma was one of the most celebrated and loved Artists in the history of the company. As a choreographer, Ma launched his career with Tulsa Ballet creating Folia in 2004 and has created many original works for many other groups around the world. For last two years, Ma Cong had world premiere works presented Internationally. He created his first original full-length ballet – The Crane Whisperer for The National Ballet of China which will make Germany debut in July 2017, he also created his brand new Four Seasons for the company to premiere at The 2nd China International Ballet Season. Ma’s most recent work Flight of Fancy for Tulsa Ballet became one of audience favorite works. Ma Cong continues to be in demand worldwide for his unique talent and creations. Ma was selected to choreograph the upcoming Broadway production of Julie Taymor’s M. Butterfly, which made its premiere in October of 2017 at the Cort Theater in New York City. The 2018/19 Season will mark the fifth year Tulsa Ballet II performs a stand-alone mini-season, separate from the main company. Tulsa Ballet II was founded in 2005 as a paid program designed to provide a bridge between the student phase of an aspiring classical ballet dancer and the professional career. TBII dancers receive a monthly stipend to help offset living expenses. Through an international audition search, the most talented and committed young men and women are invited to Tulsa to refine their artistic and technical skills by working on their own and alongside the professional company. This is accomplished through performances of repertoire ranging from pure classical ballets to the cutting edge of contemporary works. Tulsa Ballet II provides new dancers for the main company each year, and has promoted more than a dozen dancers since 2010. Tulsa Ballet II offers its members multiple additional performance opportunities throughout the year, including their own mini-season with two triple-bill shows, education outreach performances which includes a partnership with Any Given Child-Tulsa, as well as providing support to Tulsa Ballet’s Main Company. Tickets for On Your Radar start at just $25. For tickets call (918) 749-6006 or visit www.tulsaballet.org. Single tickets go on sale August 1, 2018. Save $20 by purchasing a TBII mini-series subscription to both On Your Radar (August 24-26, 2018) and TBII: Next Generation (April 26-28, 2019)! WHERE: The performance will take place at Studio K at the Tulsa Ballet Headquarters, 1212 E. 45th Place in Brookside Tulsa. at the Hardesty Center for Dance Education. TICKETS: Start at $25, call the Tulsa Ballet Box Office at (918) 749-6006 or visit www.tulsaballet.org. 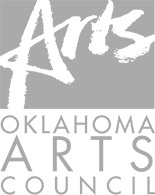 The 2018/19 Season opens with Tulsa Ballet II performing On Your Radar August 24 at 7:30pm and August 26 at 2:30pm in Tulsa Ballet’s Studio K Theater and August 25 at 7:30pm at the new Zarrow Performance Studio at Tulsa Ballet Hardesty Center for Dance Education in Broken Arrow. In September, the main company will premiere Creations in Studio K, featuring three exciting works by choreographers: Jennifer Archibald, Alejandro Cerrudo, and Ma Cong. Creations in Studio K will be showcased two weekends (Sept 14-16 and 20-23) in Tulsa Ballet’s intimate 300-seat Brookside theater Studio K. For tickets, please call (918) 749-6006 or visit us online at www.tulsaballet.org.